We need Pabst Park residents to help spend $40K! 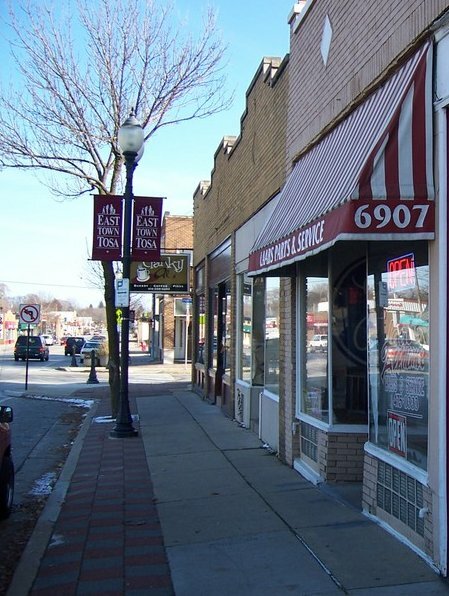 The North Avenue Neighborhood Alliance (The Alliance) was awarded a $40K Block Grant to fund the development of a comprehensive, long-term master plan and corresponding tactics for implementation to support economic sustainability on North Avenue from 60th-76th Street. For a copy of the grant proposal, please visit http://easttosa.org/ The Alliance collaborated with East Town Business and Merchant’s Association, Inglewood Heights Neighborhood Association, Old Hillcrest Neighborhood Association, Pabst Park Neighborhood Association, Tosa East Town Neighborhood Association and Washington Highlands Neighborhood Association to develop and submit the grant. In order to ensure our voice is heard, the board of the PPNA is seeking civic-minded residents from our neighborhood to represent us on the Planning Task Force. What is the role of the planning task force? The task force is charged with development and distribution of a planning proposal. The Task Force will then follow up with reviewing submitted proposals and decide to whom the proposal should be awarded. Representatives should be open to sharing progress of the task force and soliciting feedback from residents via association newsletters and/or listservs. The task force will be facilitated by Wauwatosa resident Kevin Hardman. Kevin works to create economically sustainable, vibrant and diverse communities. As the President of Clonmel Partners, L.L.C. Kevin provides consulting services to towns and cities, planning and architectural firms, and developers to help them create walk able, viable, urban places. Clonmel also works with small businesses to help them maximize their entrepreneurial assets. Kevin is a frequent speaker and panelist at urban-development forums. He is a member of the Congress for the New Urbanism, an organization that promotes the urban form. He is also on the board of directors of the Bicycle Federation of Wisconsin and the Village of Wauwatosa Business Improvement District (BID). Kevin holds a bachelors degree in Electrical Engineering from the University of Notre Dame. What kind of time commitment will be required? The Alliance had set aside 16 hours for task force meetings, proposal review, etc. between mid to late January and late August. Please submit your name under “Interested in the Planning Task Force” at http://easttosa.org/. Be sure to note what times/days of the week work best for you. Once all interested parties have submitted their information, we will determine the meeting time based on what works best for most. We will then set the meeting dates and time and communicate this to those who expressed interest. This is a great opportunity to help steer the direction of North Avenue in East Town to be vibrant and sustainable! Below is information from the Washington School Ice Rink coordinator, Lynn O’Brien, about the opening of the ice rink for this season. If you wish to make a donation to help with maintenance of the ice rink or benches for the ice rink, please send funds to Washington School, marked for the Ice Rink. I will pass along any info in the coming weeks about skating open houses, which usually include opportunities to purchase hot cocoa and snacks to support the rink. We have begun flooding the neighborhood ice rink at Washington School and are hoping to be up and running by the end of the week if the weather cooperates! Thanks to your generous support we are in our third season of the rink and going strong. In preparation for the start of another season, here is some information that may help to make this season as safe and fun as possible. · Please do not begin using the ice until the safety tape has been removed and the rink is finished. It will take several days to create enough layers of ice for regular use and if we begin to skate too early, it will ruin the surface. Thanks. · Once the rink is open, it is free to the public and may be used anytime. There is no adult supervision for the general public and we advise parents to both supervise and encourage safe and sportsmanlike behavior on the ice at all times. · Open, free-style skating will be allowed during the day hours and we ask that no hockey play take place before 5pm to accommodate younger skaters and families. · After 5pm, if the rink is not occupied by free-style skaters, older children and adults are welcome to play hockey. If there are free-style skaters on the ice, please wait until they leave before you use your equipment. We continue to accept contributions to cover the costs of the rink and are looking for a way to provide a couple of benches for kids to use to sit on while putting on their skates. If any of you can offer any ideas about how we might acquire those we would be very grateful. We are grateful to your neighborhood for your financial and enthusiastic support of the rink and welcome your questions and concerns. Feel free to direct those to either Mr. Bonds, principal at Washington Elementary School 2166 North 68th Street or Lynn O’Brien, neighborhood parent, 771-4586. Thanks and we’ll see you on the ice! All Pabst Park neighbors and friends welcome. The PPNA will supply some Cranky snacks. Bring your wallets to purchase beer and wine from Al and Susie. Tell your neighbors and PPNA friends and let’s get this summer started. Oh yeah, if the weather isn’t so summer-like on the patio, Al said we can move it inside. This is a rain or shine event. Please look for a separate flyer later this Spring or here. Any questions call Laurie at 258-2125.